While developing and designing a website, we enlighten ourselves about the inherent technical snags. In fact, we try to rectify them simultaneously as we proceed. This is an ongoing process. Our aim is to keep a constant flow of visitors entering and re-entering (read visiting) website. One will come across common errors frequently that are beneficial for fresher who are involved in designing and developing websites. Even content writers will find the list of common errors invaluable for spot checking their website. Lately, riders such as ‘Site best viewed on screen resolution on so and so x so and so’ at the bottom of the page does not impress the visitor. When a page with text and photograph with pixels fail to open when a visitor attempt to open a website, he hits the back button and surf to explore other sites. Avoid disclaimer statements but invest in skillfully and efficiently designed websites that are compatible in any screen resolution also renders well in multiple browsers. establishing the business. Necessary facts with pleasing design, optimal page resolution and above all a user friendly websites are the hall marks to generate good viewership eventually leading to conversion. It is ideal to avoid horizontal scrolling on the website. Normally, a visitor will lose patience if the content is too long that needs to be read by scrolling till the end of the page. Here site resolution viewer comes in handy to check the website. On the other hand, a professionally developed website can be viewed without horizontal scrolling in any screen resolution as the user finds the texts or images from the top to the bottom of the pages easy to read. It is a ‘no – no’ to free web hosting! Steer clear of free web hosting concept. This is a common web page mistake that has to be avoided if a business is to be taken seriously. To be visible in terms of credibility it is necessary to website get started and move to a domain host. To address this concern, it is essential to choose and purchase a domain name appropriately for the business. Be wary to choose a professional domain host which is reliable and trustworthy in order to run a successful online business. Abysmal imagery: Dreadfully appalling images and pictures put off a visitor’s interest for the website. Missing graphics, wrong captions for a photograph or cropped images are common flaws that should be given a miss. Images must be suitably optimized using the best height and width to fit the web page. Technically the files should be kept in the best formats viz., jpeg for photographs or images and gif for artwork or diagrams such as graphs or pie charts. Loud and inappropriate color scheme: It is always better to avoid applying ghastly to the website that does not match the concept of the business of the organization. The text may be concise or in detail, but the bright and horrible color scheme distracts the visitor. The readers are repelled as such badly developed site reflects poorly the designer quality. Instead, a professionally constructed website with state-of-the-art designs with ideal coloring reflects the mission of the website which eventually delivers. A sluggish website that takes time to download will prompt a visitor to move on to a rapidly downloading site. It is essential to resolve this issue and reduce the ‘weight’ of the web pages. Images on the website must be optimized for web use. Images and captioned thereon must be sized perfectly for capturing visitors’ curiosity to scan quickly with interest. It is very essential to spell check the text to avoid common spelling errors or silly grammatical mistakes. However proficient the copy writer may be, who created the text for the website, printer’s devil sneaks in with repetition of words, punctuation marks in wrong places, so on and so forth. It is therefore advisable to check the texts over and over again to circumvent inadvertent mistakes otherwise the site would appear to be unprofessionally designed. It has been observed that readers desist from reading long winding texts. A common mistake that is generally seen in websites is to cram the web pages with words that no where match the products and services offered by the organization. Web pages decorated with ornamental words and texts are ineffective as the readers discontinue reading the contents half way through. By keeping the text simple, to the point and in the right context make the text more effective and simple to understand. Structuring the content phrased in small paragraphs with lucidity and consistency apart from perfect presentation in style by choosing the right font will make the website pleasing to read. The above parameters enable the website to stand apart from competitors as a result of giving a clear message with goal-oriented directions. In other words the conversion of a reader to become a potential customer becomes easy as the website gives answers to his questions. E-Mail subscription form in the websites enables to generate leads by E-Mail. For optimal business advantage, it is best to maintain a mailing list by the business organization. This concept is critical yet it is often neglected by business houses that own the websites. The list allows building relationship with visiting potential customers who eventually become regular clients. Strong Message Inviting Visitors: Messages like ‘subscribe to our journal’ or ‘join my newsletter’ or ‘join my free newsletter’ are fragile messages and may not impress a reader who could be a potential customer. These kinds of messages may send wrong signals prompting visitors to wonder “why” to subscribe or even if they subscribe, will they be eligible for any discount or bonus or a free gift coupon? These are human tendencies! On the flip side, to raise the credibility of the website, if it is professionally designed with appropriate texts, it will impress the readers to avail any service to receive membership subscriptions. It is necessary to give complete description on the website. The details could be contact details and complete postal address, with landmarks. 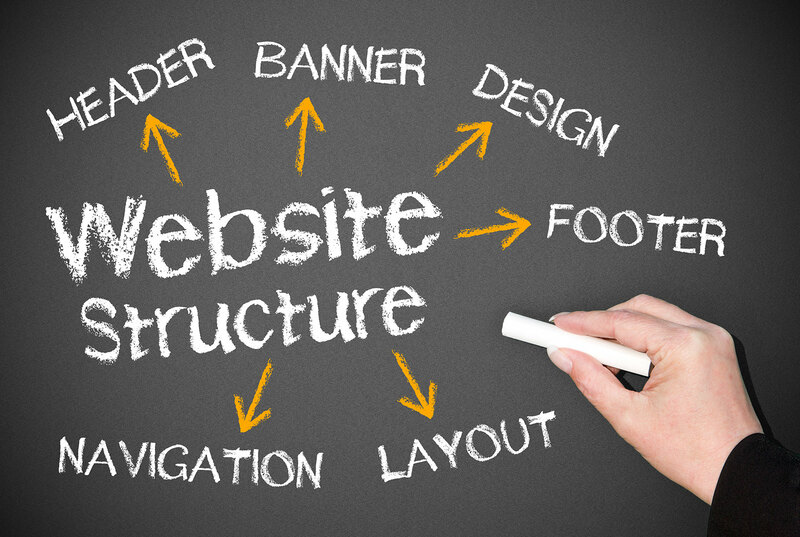 Further, to boost business, websites with site maps will be an added service. Any visitor to the sites can be a prospective client and in future could become a loyal customer too. These details would go a long way in helping generate sale. Advertising campaign must clarify the objectives of the organization vis-à-vis products and services that are being promoted. However, it should be skillfully handled as per latest trend and appropriately placed reflecting the diversified business that is being conducted. Care should be taken not to overload the web page with flashy images or photographs. Well designed and properly placed advertisements will generate huge revenue. It is futile hoping to receive inquiries by e-mail on prices. In fact the moment a potential customer sees the price of the product; his question will be the price factor. It will be ideal to reveal the price. A price tag will always help buyer to determine and select the product according to his budget. In the absence of a price tag, the buyer will definitely get a chance to go to another website where the price is mentioned along with item description. Consequently, quite likely the prospective customer may be lost. It is not always productive to arouse curiosity. When a visitor sees a site is “under construction” for an indefinite period of time, he loses interest. Website having to be activated in the near future or closed for some technical reasons generally carries information saying “closed” or “Under construction”. But it is best such notices are avoided. Instead it would be better to give single page content or a notification stating when the whole site will be ready. These little things go a long way in endearing customers. Music mesmerizes one’s mind. Soothing music relevant to the product being marketed is welcome. If music is out of place for the product or service of the content page, it is best avoided. Ensure that the music is played softly, rightly timed and could be controlled by the visitor accordingly. While the above were general common mistakes that occur unwittingly and should not be construed to be exhaustive, although there could be innumerable. These give an idea to resolve and adapt for keeping the website updated and perfectly in order. These etiquettes will help more and more visitors who would not only enjoy the website but only would become customers.